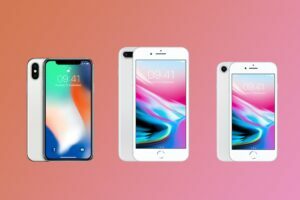 Home Mobile IPhone 8s vs Note 8: Which of the Smartphone is Better? It has always been a tradition; the smartphone market has a long history of fierce competition. Apple vs. Samsung rivalry has been the prominent and most intriguing competition in the world of smartphones. However the two companies deliver distinct products for their consumers. Distinct to this are the tow releases of iPhone 8s and Note 8. In this review, we have done an in-depth comparison between the iPhone 8s and Samsung’s Note 8 in terms of design, display, speed and performance, battery life and camera. The two are the latest additions in the list of flagship devices from their respective companies. iPhone 8s bears a close resemblance to the outgoing iPhone 7. It still features its rounded corners and attractively curvy edges. A unique addition in the iPhone 8s is the replacement of the aluminum rear with a classic glass panel that makes the back of the phone to bear a similar feeling to the front. The glass has the corning properties that make the phone to be heavier than its predecessors. It is worth to note that iPhone 8s is water-resistant thus you don’t have to worry getting drenched while carrying your gadget. The phone features a considerably sizable screen of 4.7 inch with a screen resolution of 1334×750 making it to display crystal clear images. Its net weight is 202g. The galaxy note 8 is an upgrade of the controversial Galaxy Note 7. It possesses classic features including a smooth surface with the entire surface nearly being made up of Corning Gorilla Glass 5.0, closely related to IPhone 8. Finger-prints and other touch-marks stain the phone but it is also smooth to clean. It features a large 6.3-inch with a 1440×2960 megapixel resolution resulting to crystal clear display. Its screen is protected by the Corning Gorilla Glass 5 and the gadget weighs about 195g. Both IPhone 8s and Galaxy Note 8 feature 12.0 rear camera and 8.0 front camera. They however feature different screen resolutions but nevertheless the devices deliver a good experience through their cameras. They possess extra features such as face-detection, panorama and geo-tagging. Galaxy Note 8 however takes better pictures in lowlight density compared to the IPhone 8s. Both iPhone 8s and Galaxy Note 8 possess fierce processing speed due to their massive RAMS. The Note 8 has Octa-core processor with 6GB RAM while the iPhone 8s possesses 3GB RAM and Apple’s new A11 Bionic chip. They deliver the fastest speed ever witnessed in the smartphone industry. However, the iPhone 8s has been tested and ascertained to be faster than Galaxy Note 8. In addition to that, the Note 8 has being given the credit of reloading faster. Apple’s IPhone 8s comes packed with a 2691 mAh battery. On the other hand, Galaxy Note 8 features a 3300 mAh battery but with a larger screen display. Battery duration depends on the gadget’s user. These are two equally powerful products racing to outdo one another. They both have pros as well as cons. They are however among the finest smartphones ever.